The creators of the Oni Press graphic novel Petrograd joined the Comics Experience Creators Workshop recently, for a wide-ranging Book Club discussion covering every aspect of the book's creation. Petrograd tells the tale of a reluctant British spy stationed in the heart of the Russian empire during the first World War who is handed the assignment of orchestrating the death of the mad monk Grigori Rasputin -- the Tsarina's most trusted adviser and the surrogate ruler of the nation. During the session, writer Phil Gelatt, artist Tyler Crook, and editor Jill Beaton discussed the deliberate pace and intricate plotting of Petrograd. The story unfolds slowly, and has less overt action than many comics. Gelatt acknowledged that early in the process, he was unsure how readers would react. "I definitely remember saying to Tyler many, many times, I worry that we're being boring," Gelatt said. "Not because of his artwork, but because of that deliberate pacing. My huge fear for the book was that I hadn't made it gripping enough; that there weren't enough punches, that there wasn't enough violence, before we get to the actual murder (of Rasputin). So I'm glad that the pacing has hit a chord with some readers." Beaton noted that this pacing was one of the things she appreciated about the project. "It had that feel of Russian literature to me, and I adored that about this book," she said. "Those silent patches, and it had those periods where the characters are just so quiet, and it was beautiful. If (Gelatt) had tried to throw more punches in, I would have been very mad." 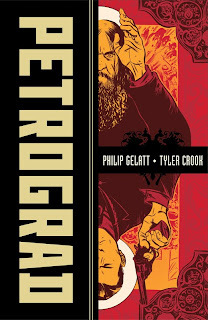 Crook described Petrograd as being "a large story, with a clear and simple story arc." 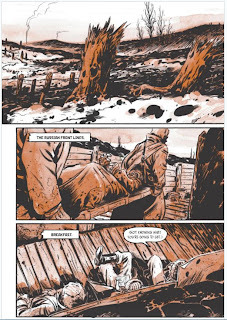 The story centers around the assassination of Rasputin, and most of the book is a slow build up to that point. But "simple" does not mean "simplistic." Petrograd drops readers into a dense thicket of characters, each with their own factions and motivations. The slower pace gave Gelatt and Crook time to develop each of these characters, and delve into the complexities of the story. "I tried to let it be complicated in the way that I thought it should be complicated," Gelatt said. 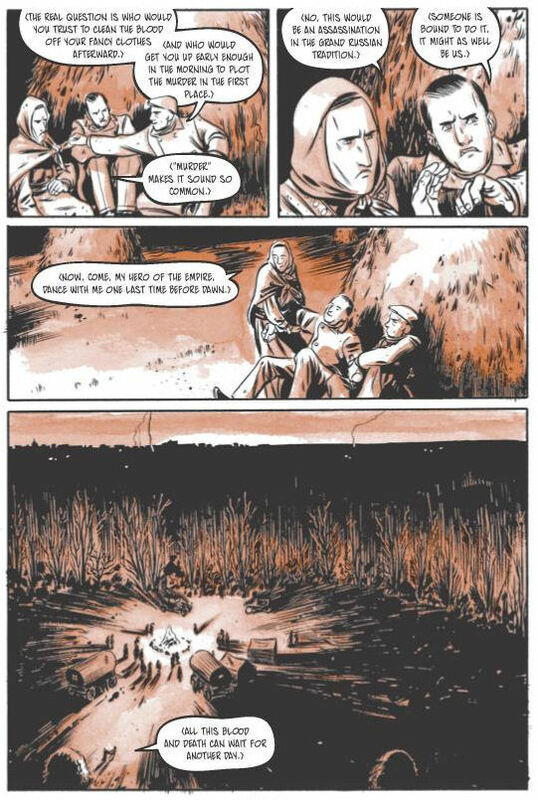 Crook said he wishes more comics would unfold at a more deliberate pace, and give their stories the space they need. "That's one of my big criticisms of contemporary storytelling," he said. "They always feel like the reader has to be punched in the face in the first two seconds or they won't keep reading it. I'm sick of getting punched in the face in the first two seconds. I'd rather see a variety of stories being told, and let things develop naturally once in a while." Creators Workshop Book Club sessions take place regularly, featuring guest writers and artists discussing the craft and art of comics, as well as the business side of things. Additional live Workshop sessions take place every month, giving members real-world knowledge that will help them succeed in their comics career.